Prepare for your IELTS test with our videos. They explain aspects such as fluency and grammar, which are examined in the reading, listening, writing and speaking tests. This video explains the aspects of fluency and coherence that are considered during the assessment of IELTS speaking. This video explains the aspects of grammar that are considered during the assessment of IELTS Speaking. 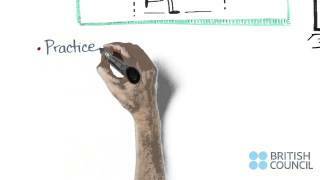 This video explains the aspects of lexis and vocabulary that are considered during the assessment of IELTS Speaking. This video explains the aspects of pronunciation that are considered during the assessment of IELTS Speaking.